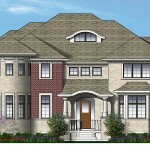 6,000 sf residence w/ 3 car attached garage and terraced front and rear entrances. 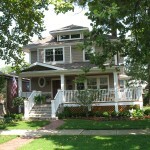 This 5 bedroom home was completed with a finished basement containing media room, billiards room and exercise room. The ground floor features a stepped down family room, a sunroom and large breakfast room all with rear yard access and views.